Play: Put a card from your hand facedown beneath Masterplan. 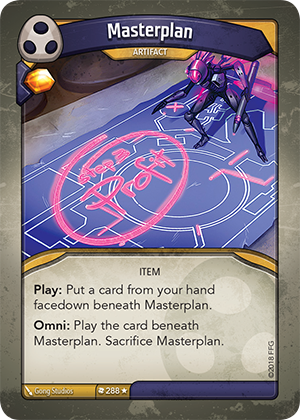 Omni: Play the card beneath Masterplan. Sacrifice Masterplan.